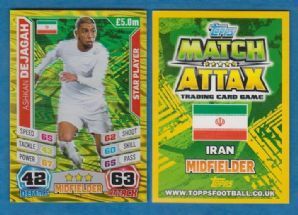 Football card issued by Match Attax under the 2014 World Cup series. This is a "Star Player" card. Measures approximately 6.3 x 8.8cm. 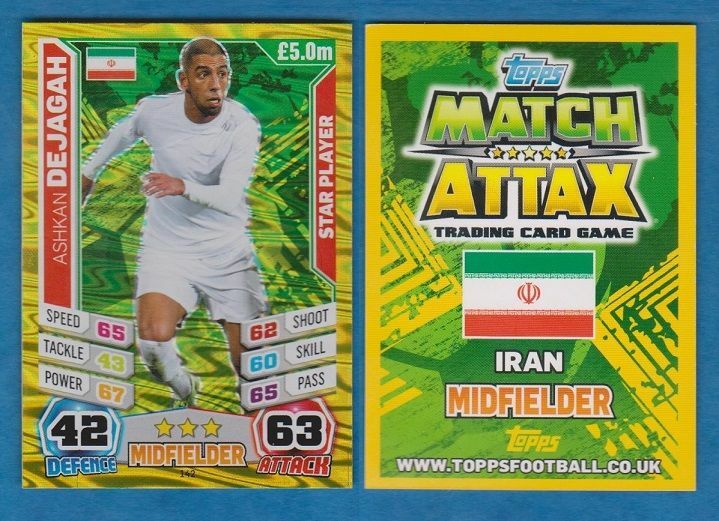 Depicting the Iran star Ashkan Dejagh, who played for Fulham, Wolfsburg & Hertha Berlin.